My SUV is amazing I love the way it operates and drives, always been a good car! My car has been really good I have 187 thousand miles and it has never given me any trouble. I replaced the water pump once had the battery a few times. It pretty good on gas and I can get in it without my back hurting, I need a high seat to get in and out. It drives really well and I love the way the cruise works. I really like all the detail about this SUV. My best vehicle investment. The room is awesome and handling is a breeze. The leather seat heater is awesome in cold weather. I have had the best luck with this vehicle no problems. 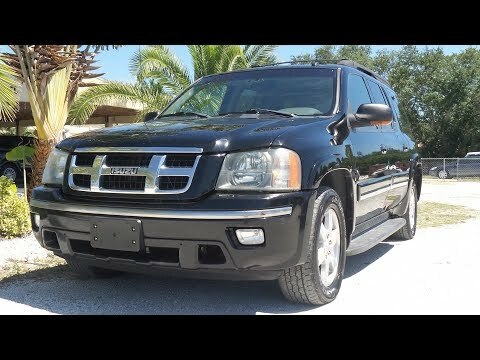 I bought my SUV new in 2004, best investment I ever made. Never thought about trading for a newer model. Still going strong. When I trade I would like to find another one. Do not no if they still make them. It has held its value after all this time with me. I love my SUV it is great size and gets relatively good gas mileage. It is a great size for me and for me to move all over town and take things places. The sound system is great. The leather interior has held up very well.